Recorded over a period of 10 days in August 1969 & released on October 10th of the same year “In The Court Of The Crimson King” stands as one of the defining albums of British rock music & one of the finest debut albums of all time. Described at the time as “an uncanny masterpiece” by Pete Townshend, the album has achieved legendary status over the years. It is the only studio document of an extraordinary year in the life of King Crimson; a year that began with the group’s first rehearsals on January 13th, included a residency at the Marquee Club, a concert in Hyde Park with The Rolling Stones, the recording and release of the album and ended with the dissolution of the lineup at the close of Crimson’s 1st American tour in December. 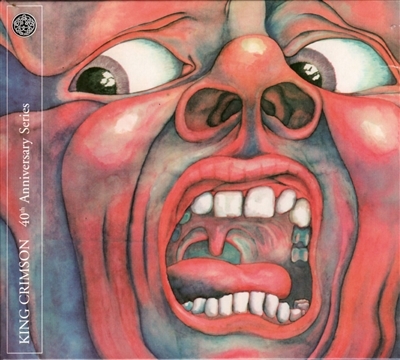 In the 40 years since its release ‘In The Court of the Crimson King’ has never been out of print or unavailable in any of the world’s main music markets & continues to enjoy consistently high sales.